As you use these three skills, you begin to understand the other person's story; what their conclusions are; what interpretations they based their conclusion on and what data they based their interpretations on. From there, you can find common ground, as well as differences, as you begin to explain the data you see, and what your interpretations of the data is and how you arrive at your conclusions. This whole process can be viewed as two different ladders. 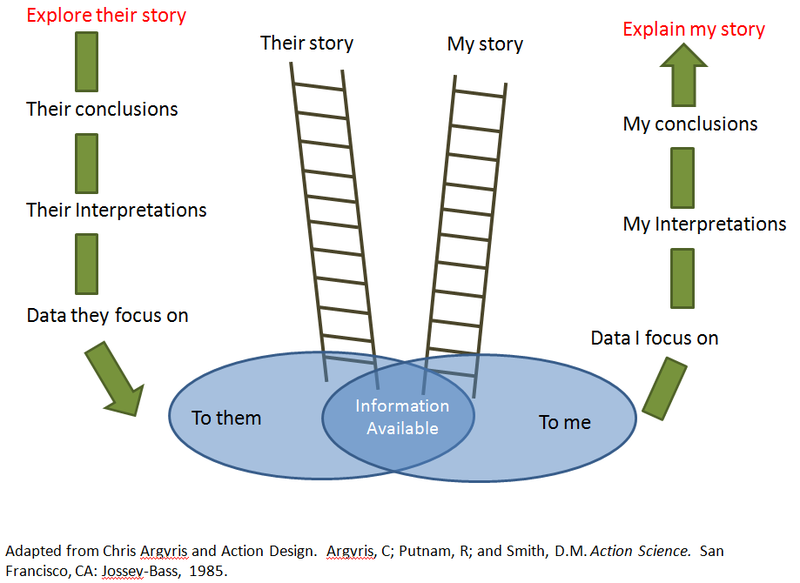 This tool is called the Ladder of Inference. Get curious: ask yourself "What am I missing?" "What might they know that I don't?"